It's time for another one-shot strip. 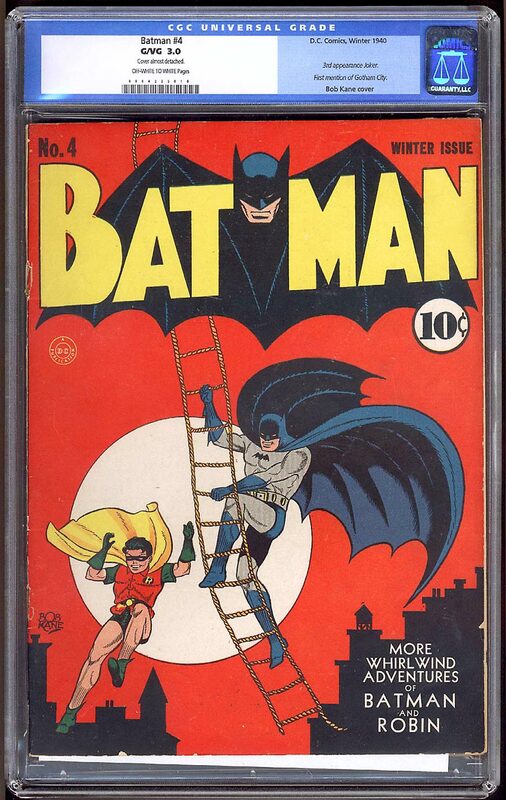 The left image is based on a real Batman cover from the 1940s. I really should explicitly say that because they are so similar. Of course, I didn't want the same characters on that cover to be on this page, so I made some alterations to them. Because the left image is based on a golden age cover, I really wanted to take advantage of the color halftone filter to make the image look more like an old comic page. Also, the word balloons and the text within on that side were created the old fashioned way: making text lines and drawing all of it manually. 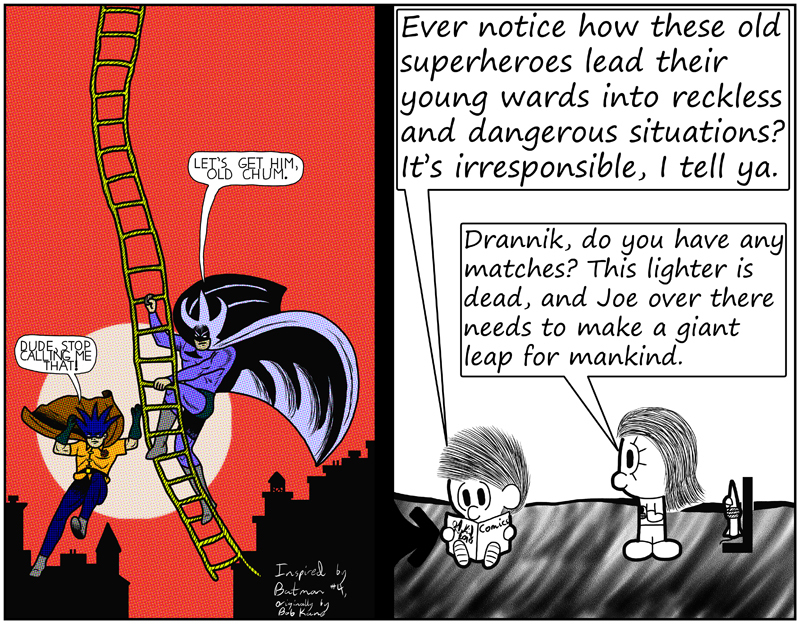 Of course, I'm not much of a letterer, which is why I normally use computer text for everything.